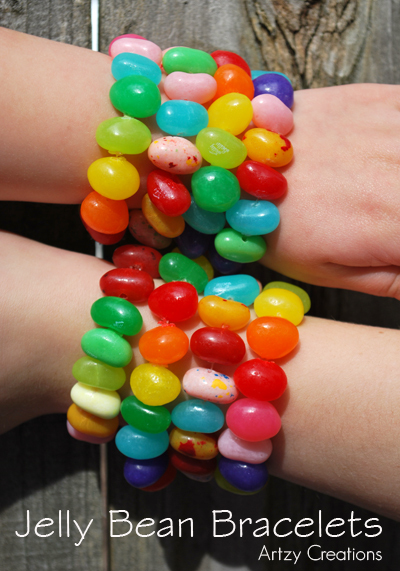 Love this idea: Easy Jelly Bean Bracelets. It takes an elastic “stretch cord,” needle, and jelly beans. I want one.